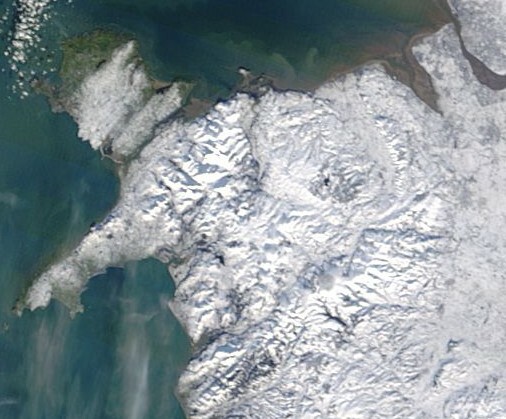 This satellite photo shows North Wales under snow on 7 January 2010, after several days of below freezing weather. This is a section cropped from a remarkable NASA photo of the whole of Britain white with snow and ice. You can see the whole photo on the BBC web site, as well as a higher resolution version at NASA. 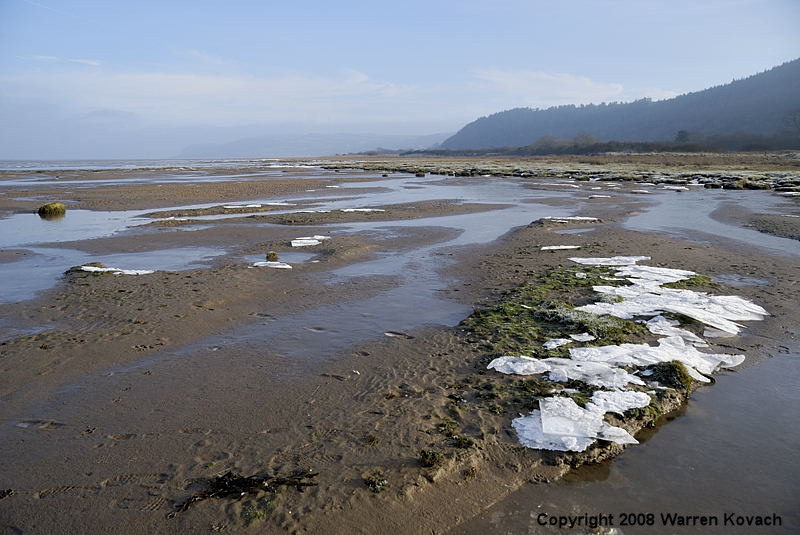 The following video shows a remarkable scene at Red Wharf Bay, near Pentraeth, on 31 Dec. 2008. After several days of below freezing weather the fast moving tide coming in that morning was carrying large sheets of ice, making an incredible sound as the ice broke up. The following pictures show the chunks of ice left by previous tides littering the beach. 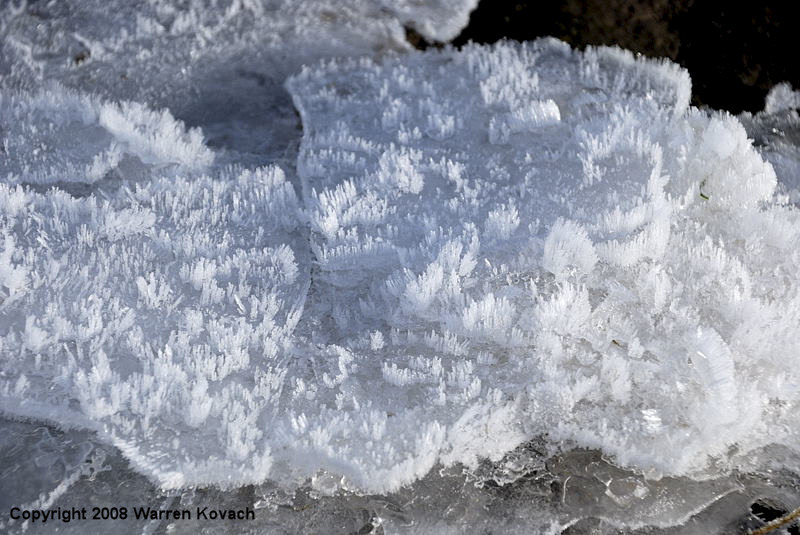 The sheets were often stacked up and were covered by crystals formed by the ice refreezing. The following is a time-lapse movie of my garden in Pentraeth, Wales, taken over 30 hours on 14-15 June 2009. It shows variable weather (sunny and cloudy with a short shower), two sunsets plus the rise of the moon and Jupiter just before dawn. You can see the rain gauge for the weather station on top of the shed. The thermometer and wind instruments are out of view further down the garden.